Loading photo and data, please wait. who died Oct 19th 1860 aged 40 years. who died April 12th 1888 aged 3 weeks. who died May 25th 1891 aged 8 years. who died June 17th 1891 aged 1 year and 10 months. 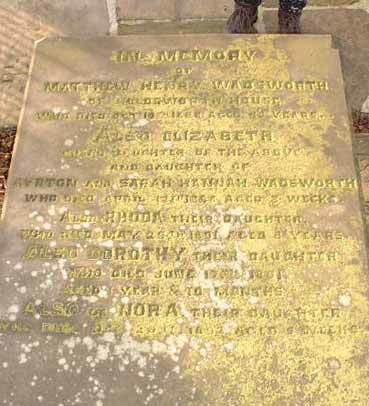 who died December 29th 1892 aged 5 weeks.